We are Apollo Seiko Europe and together with our dedicated distributors in various European countries, we support our customers in their production process. Apollo Seiko Europe provides tailormade automated soldersolutions, each uniquely designed for specific solder requirements for our unique customers. 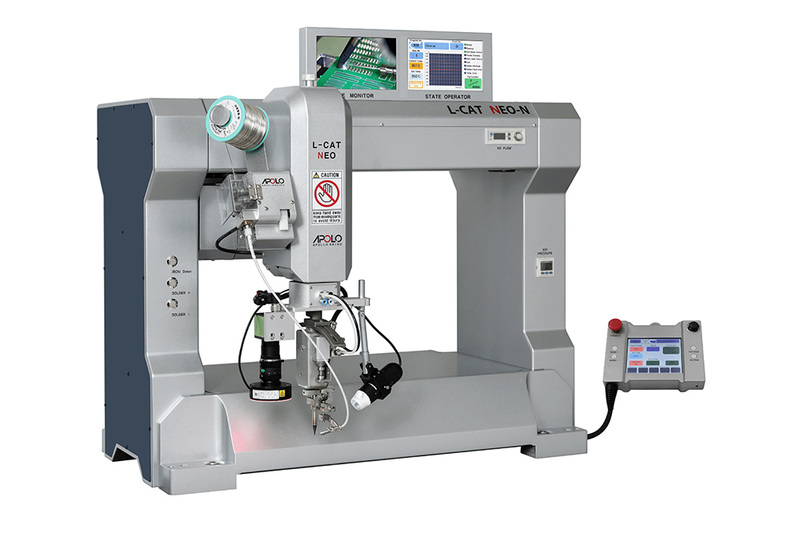 Our soldering robots are specialised in high speed precision soldering to the highest standards. Because of our international network and over 45 years experience we can share our knowledge, deliver quickly our robots, parts, spare parts en provide global back up for our customers. This makes Apollo Seiko Europe the best automated soldering partner in innovation, robotic engineering and technical or innovative support. Apollo Seiko Europe is worldwide preferred supplier for all major companies in the automative industry. For more information on Apollo Seiko Europe and our automated soldering solutions and services, please or contact us directly or through one of our European distributors. 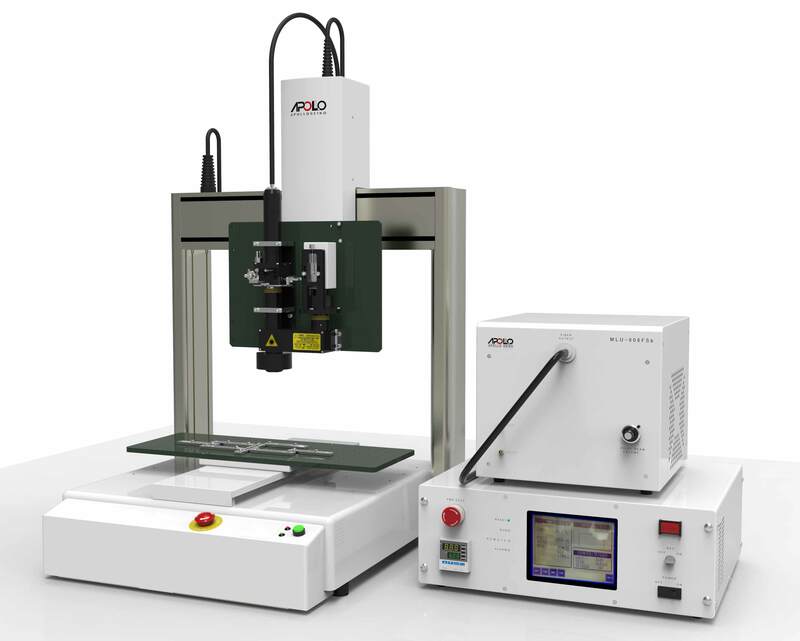 Apollo Seiko is a technology based company that specializes in automated point soldering systems. We have dedicated our knowledge and competence during the past 48 years in the designing and development of automated soldering systems, setting the industry standard in this specialized technology. Apollo Seiko was founded in 1969 by George Kawaguchi. Mr. Kawaguchi identified a need to automate the labor intensive process of hand soldering. 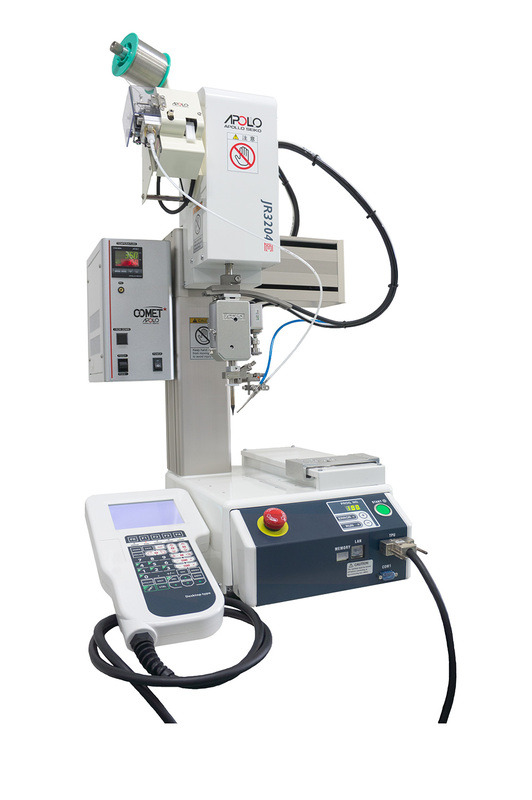 The goal for Apollo Seiko soldering was to increase output and quality by providing a repeatable robotic process. Since this time, Apollo Seiko has patented many advances in selective solder technology including iron tip design, solder feeding techniques and integrating Nitrogen to provide a low cost, lead free soldering solution for both robotic and hand soldering applications.